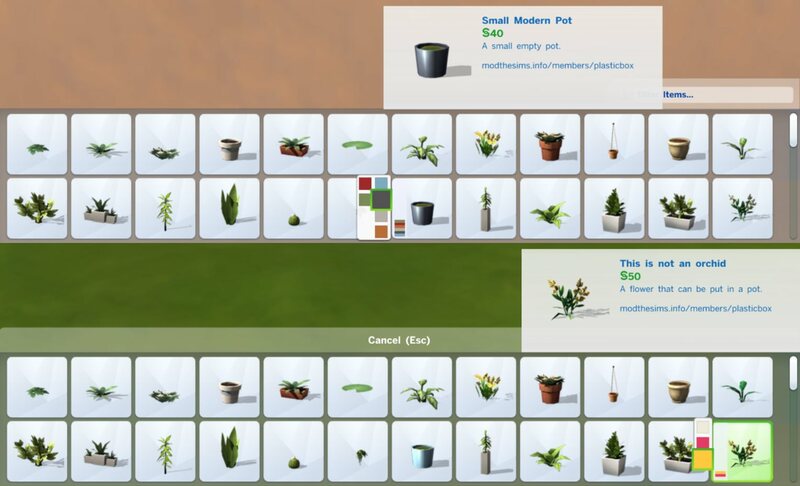 Some more pots and plants that can be mixed and matched, also with the plants/pots from here and here. 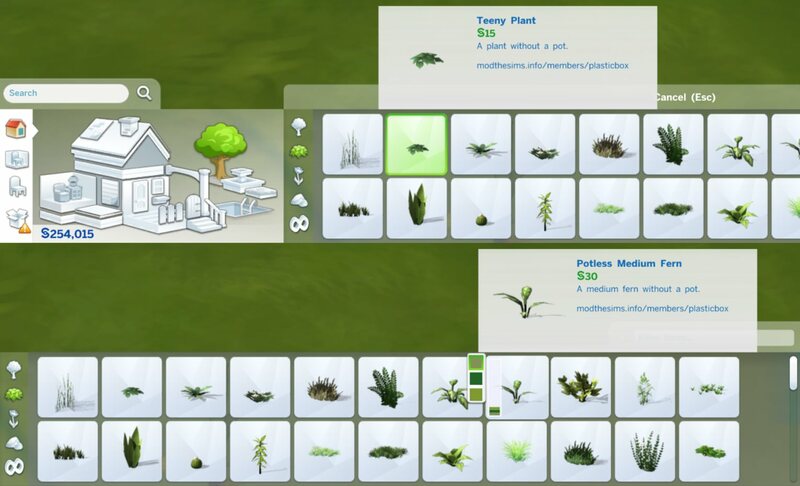 All plants are re-shaped so they do not look like exact clones of the ones they are derived from. 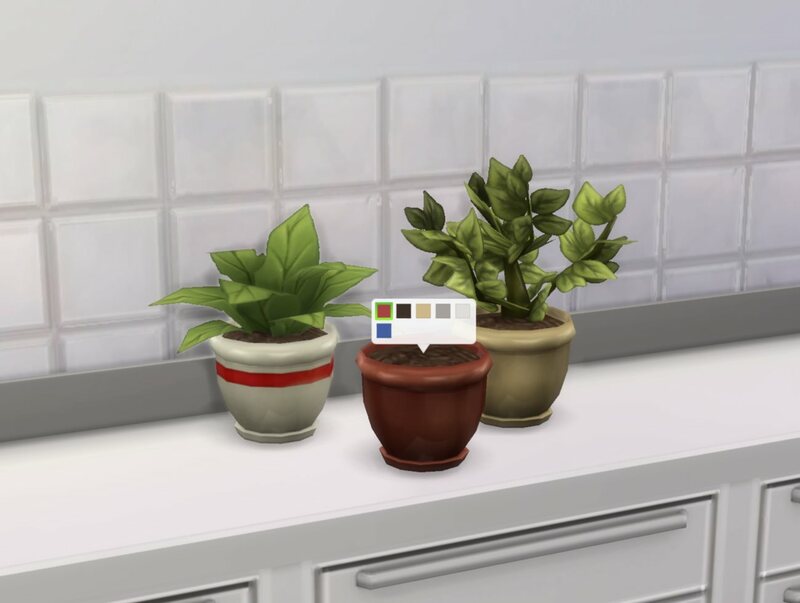 Referenced textures mean that they’re using textures you already have, so any overrides you have for the originals will also work for these. 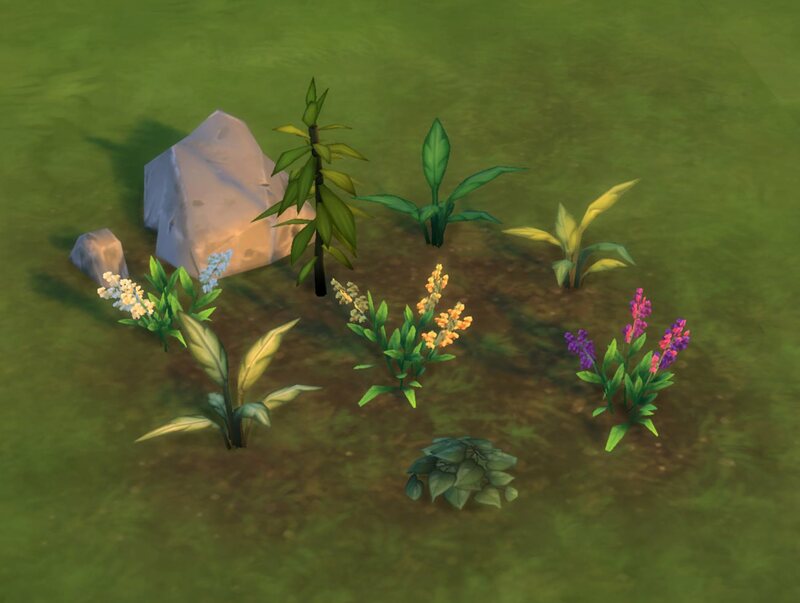 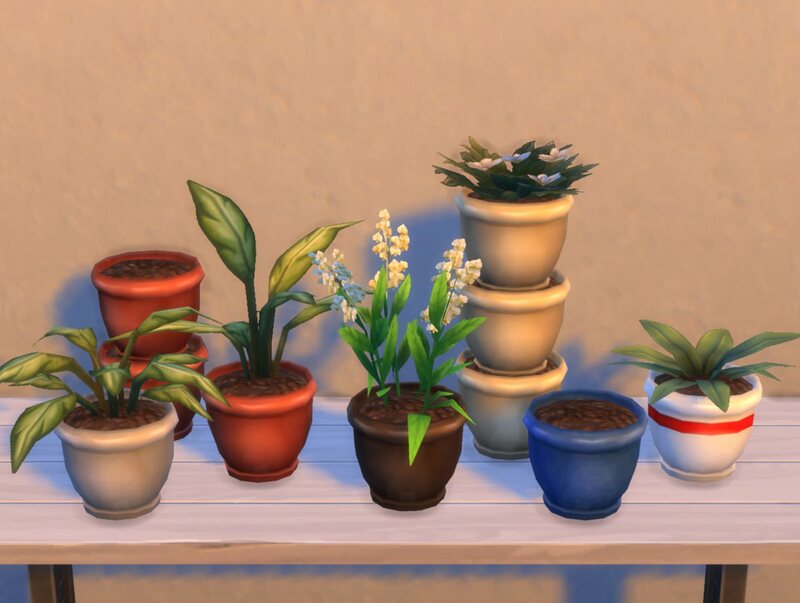 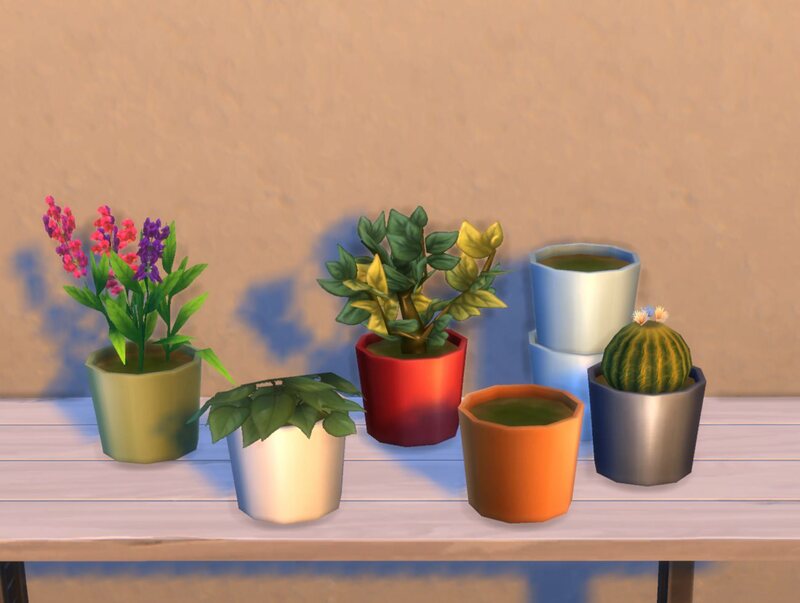 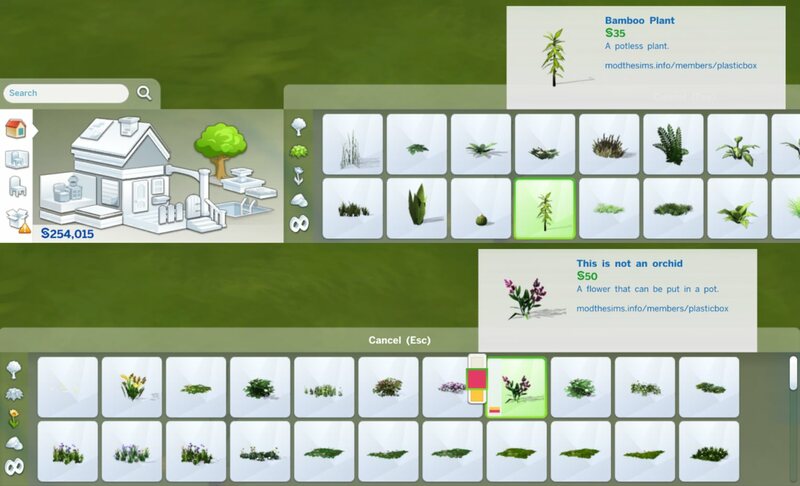 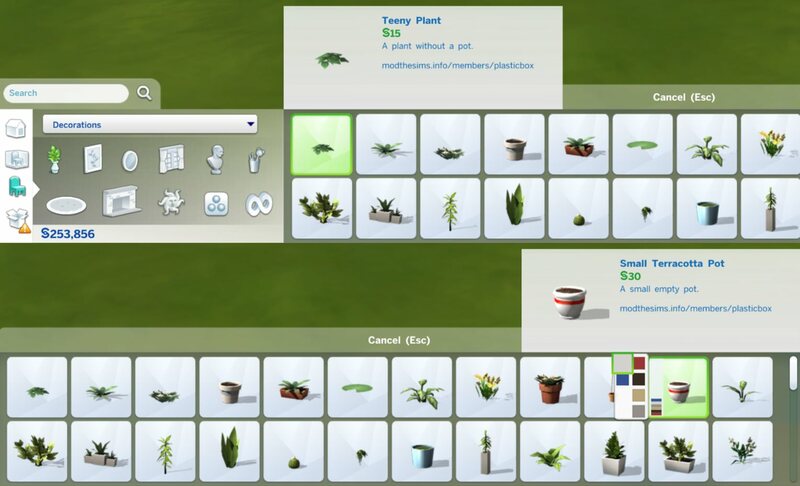 All of these are available in Deco > Plants, the three green plants are also in Build Mode > Shrubs and the non-orchid in Build Mode > Flowers. 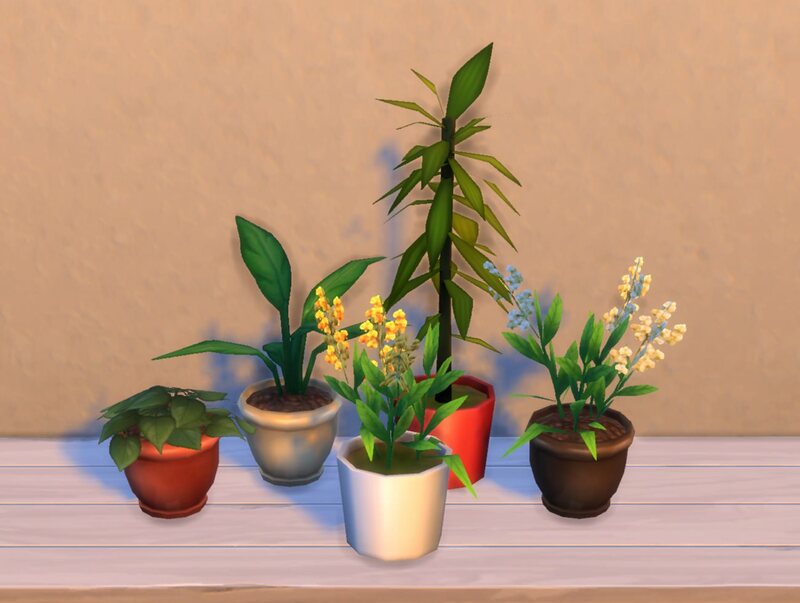 All of these use the "object_plant_non_gardening_generic" tuning (0x0000000000012EA3), I can't tell whether that means they are sellable in Get To Work since I don't have that yet. 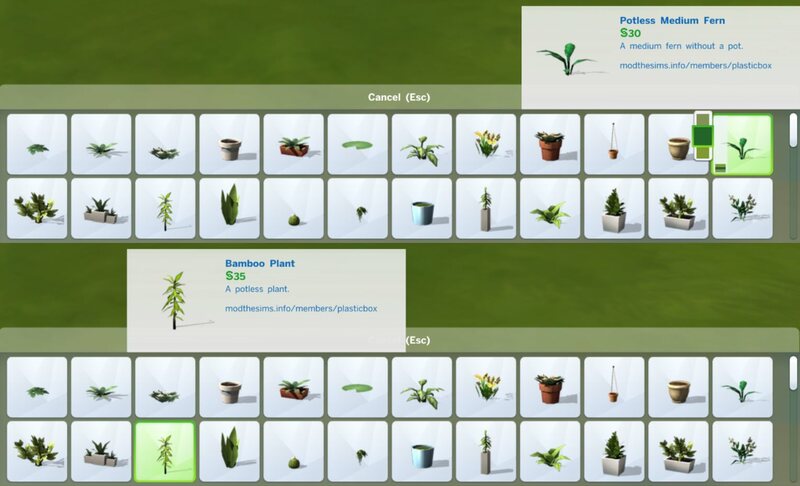 Can somebody let me know?